A decade ago, it was much easier to figure out how to get your TV connected to your devices, especially since most people only had a VCR. Our screens were smaller, the quality was worse, but the world was simpler. Today you can hardly walk in an electronics store without getting pressured to buy a several hundred dollar HDMI cable just to connect your devices to your TV. If there’s ever been a confusing time to choose cables and connectors, it’s now. We’ll try to help you wade through this mess and see what’s really important about the two most common digital video cables of today: HDMI and DVI. We’d all love it if you could just zip your video and audio over the air from your devices to your screens. While there’s been some progress in this area, frankly it’s not a viable solution for most today. For now, we’re stuck streaming our media through wires. In general, they all work the same: the connector contains pins that go into ports on your video output device which transmit video, audio, and more over the wires in the middle. If you want to get the entertainment off your files and disks and onto your screen, cables are a necessary evil for the time being. Why not VGA or Composite Video Cable? The traditional video cables, including VGA and Composite video, transmit analog video signals only. While this works great for CRT screens, it isn’t preferable for newer LCD screens. 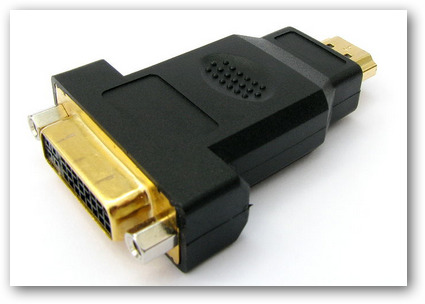 While many current LCD TVs and computer monitors still accept VGA input, they generally work best with DVI or HDMI. Some video cards and video playback devices, including the new Apple TV, don’t even include VGA or composite outputs, and this will be an increasing trend looking forward. Even if your current computer and monitor work fine with VGA cables, you’ll still want to know which digital cable is best for future video equipment purchases. What’s the Difference Between Digital Cables? 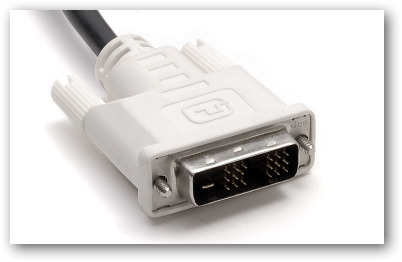 DVI is one of the most common digital video cables you’ll see on desktops and LCD monitors today. It’s the most similar to VGA connectors, with up to 24 pins and support for analog as well as digital video. DVI can stream up to 1920×1200 HD video, or with dual-link DVI connectors you can support up to 2560×1600 pixels. Some DVI cables or ports may include fewer pins if they are designed for lower resolution devices, so you’ll need to watch for this. If your port contains all the pins, however, it can support the max resolution with no problem. The biggest problem with DVI is that it doesn’t support HDCP encryption by default, so if your hardware only includes DVI ports, you may not be able to playback full HD Blu-rays and other HD content. You can connect DVI to an HDMI port on a newer monitor with a small digital convertor. 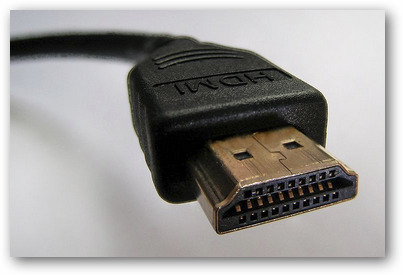 However, since DVI doesn’t support audio, you’ll need to use a separate cable for audio when connecting to an HDMI port.This makes DVI one of the more versatile newer connectors. It’s both backwards and forward compatible, though at the loss of some convenience. You can also connect an older monitor that only includes a VGA port with a DVI port easily via a similar DVI to VGA converter if your video output supports analog video. HDMI is the default cable on newer HDTVs, Blu-ray players, Apple TV, many new computers and video cards, and a multitude of other video devices. HDMI cables and ports are very easy to use, and are almost as easy to connect as USB devices. No more bent pins; just push and play. HDMI cables can stream digital video and audio simultaneously over the same cable. HDMI cables support up to 1920×1200 HD video and 8 channel audio. They also support HDCP encryption for the newest HD content. For almost all purposes, a single HDMI cable is all you’ll need to connect your computer or video device to your monitor or TV, and it’s almost the absolute standard digital cable. DisplayPort is another new video connector that’s being included on newer equipment, especially laptops. It was designed as the successor to DVI and VGA on computers, but hasn’t seen as much adoption as either DVI or HDMI. However, it is being included on all newer Macs and many Dell, HP, and Lenovo computers. It is actually very similar to HDMI, so it streams both HD video and audio on the same cable, and can output up to 1920×1080 resolution and 8 channels of audio on a single cable. On the good side, DisplayPort does support HDCP, so you can use it to playback protected HD content from Blu-rays and more. You can also connect it to an HDMI or DVI port with a convertor, since the digital signal is compatible. The problem is, few monitors and TVs include DisplayPort ports, so you’ll almost have to have a convertor if you want to connect your laptop to a larger screen. Do I Need Expensive Cables? 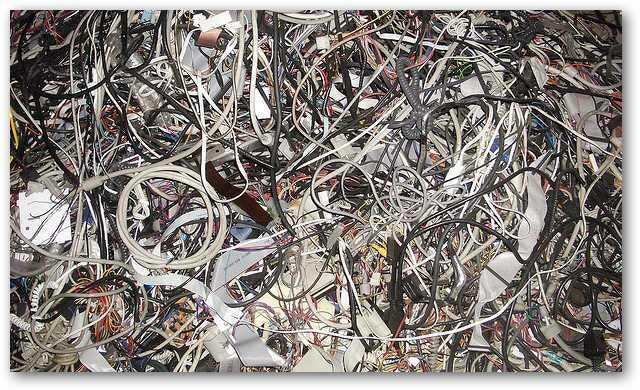 Cables are often one of the biggest ripoffs in electronics stores today. You’ve likely noticed HDMI cables in stores that were higher than the TVs they were hanging beside. So do you need to get a fancy cable for the best HD experience? No. Back in the days of VHS tapes and analog TV, a higher quality cable could definitely mean the difference between a clear and a fuzzy picture. But with digital video and audio, a cable is a cable. Your cable will just be transferring bits like your Ethernet or other computer cables, and a cheap HDMI cable from Amazon will serve you as well as a Monster cable. Standard HDMI cables today can be up to 49’ long without any signal loss, so just look for the cheapest cable, plug in your equipment, and enjoy. So Which Digital Cable is Best? In our opinion, HDMI is the cable and connector to stick with. 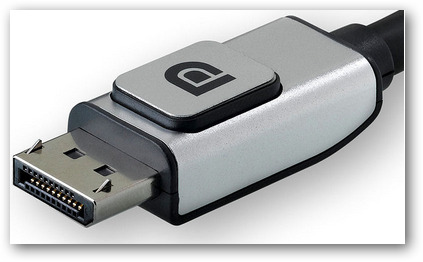 It’s the default connector on most devices and screens, compatible with HD content including HDCP protected Blu-ray, and can carry video, audio, and more all on one cable. One cable and you’re done. For now, it’s the cable and connector we recommend you standardize on. Now, if you already have equipment using DVI, VGA, or other cables, and it works fine for you, don’t feel like you need to rush out and change it, because you don’t. You might get better quality from using digital cables if your devices support it, but unless you have a very large monitor or TV it can be hard to tell the difference. Technology companies thrive on making people feel like they constantly have to upgrade, but often if it ain’t broke, don’t fix it is a good policy to follow. The good thing is, now if you buy a new TV, computer monitor, video card, or other video device, you’ll know what you’re looking for. Make sure your new devices support HDMI, and you should be able to use them with a wide range of video equipment for years to come. And don’t fall prey to the high-pressure sales tactics trying to get you to buy a $2,200 HDMI cable; a cheap one from Amazon will usually be all you need, so you can save your cash for more HD content to pump through that shiny cable. Questions? Comments? Shout-out in the comments below!